The fact that schools and higher learning institutions close for the summer holidays might not be based on neuroscience but is nevertheless wise. It has to do with the effect of heat on our brains. I’m sure we can all relate to the experience of not being able to focus and cope with mental work in extreme heat. The same can be said for children, struggling in a hot classroom. A recent study finds a link between heat and lower academic achievement. High school students who were tested during hotter years had lower scores compared to their test performance after a cooler year. Another study concerned university students who were given two tests a day of basic addition and subtraction, cognitive speed, memory, attention and processing speed for 12 consecutive days during a particularly hot spell. Those students who lived in air-conditioned buildings scored significantly higher than those who did not. Yet another researcherwrote that taking an exam on a day where the temperature reaches 32 degrees Centigrade leads to a 10.9% lower likelihood of passing a particular subject (e.g. Algebra). So our hot South African summers cause some brain drain and possibly our youngsters could benefit from schools staying closed during January and February, the hottest months of the year. Of course, air conditioning seems to offset the damaging impacts of heat on academic achievement but we know how expensive it is to install and run air conditioners in schools. We also know that air conditioners release carbon dioxide into the atmosphere which is not good for our already struggling environment. But summer heat can cause physical problems for children as well. It’s important to remember children are at high risk for heat-related illnesses, as their bodies heat up 3-5 times faster than those of adults. When the weather is extremely hot and humid, the body’s ability to cool itself down is compromised, and both adults and children are at risk if the temperature rises above 32 degrees Centigrade. 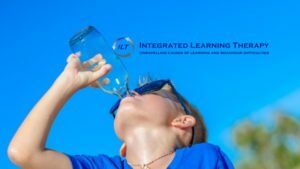 Dehydration is a major concern and it should be remembered that often children don’t feel thirsty when they are engaging in physical activities out of doors. Before outdoor physical activities, children should drink freely.During activities, they should have water available and take a break to drink every 20 minutes. Sports practices and games played in the heat should be shortened and there should be more frequent water breaks. Clothing should be light-coloured and lightweight. Limit clothing to one layer of absorbent material to help the evaporation of sweat. If their shirts become sweaty, they should change to dry clothing. Children complaining of feeling dizzy, lightheaded or nauseous should be allowed to move into a cooler environment. There is no doubt that heat and dehydration can make children sick. Apart from dehydration, children can also suffer from heat exhaustion, heat cramps and heat strokes. Your child may not tell you if they’re feeling bad, so it’s critical to recognize the signs and symptoms of these heat-related illnesses in order to take proper action and prevent further injury. With the long summer holidays looming every closer, plan to protect your children from the heat by playing outside in the early mornings and late afternoons (apart from swimming). Children may become restless if kept indoors for too long so make sure you have entertainment planned in the form of indoor games and activities. But don’t forget to limit the amount of screen time! R. Jisung Park, Assistant Professor at the University of California, Los Angeles. How can we help balance brain development? 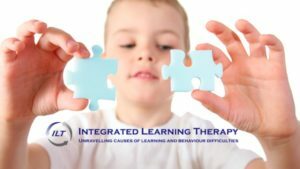 All movements and thinking activities that children engage in help to develop the network of brain cells that are so crucial to learning and coping in life. We can create new connections in our brains throughout our lives but during childhood this is crucial for their state of learning readiness and ability to meet academic demands. The brain is composed of a left and right side – called right and left hemispheres. It may be that we develop a preference for using either side to function but rather than encourage a decided dominance of a particular hemisphere, it is far better to balance the brain. We need the specialised areas of both hemispheres to function optimally – especially in school. With this in mind, we should try hard to provide opportunities that will promote development of both brains in our children. What kind of activities does your child gravitate towards? TV, computers, video games and texting will wire the brain in a certain way. Art, music, sport, messy play will result in other areas being wired. What is needed is a variety of activities to help the brain’s left and right sides develop equally and be able to communicate efficiently. You can play with numbers, for example having the child learn to count by jumping up and down a flight of steps; call out a number and ask the child to tell you what number comes before or after it; introduce shapes and have them cut out different paper shapes; teach quantity in the kitchen. As soon as a child is speaking his home language well, introduce a second language. Teaching songs, rhymes and simple phrases is a good beginning. Install a love of reading. Children simply must have stories read to them. Once children are older and can read, play a dictionary game: give them the first three letters of a word and have them find words with those letters. Play with science concepts. For example, ask children how water turns into ice and back again; what makes wood burn? What is wind? Where does our water come from? Explore the environment: have children draw everything they can find in the garden, including insects and discuss their discoveries with them. Introduce them to music: if at all possible, let them learn to play an instrument. Studies have shown that music appears to accelerate language development, speech and reading skills. If learning an instrument isn’t possible, at least play music in the home with chances to move to the rhythm, beat out the rhythm on homemade drums and learn the words of songs. Be sure to include a variety of music – including classical. Telling stories and hearing stories read or told out loud.Understanding content through tone of voice and speech inflection is an important part of comprehension. Dealing with feelings: talking about the child’s own feelings and how others feel; watch a film together and talk about how events affected the child and you. Ask for suggestions how the story or ending could be changed and how that would affect feelings. Encourage children to engage in fantasy play. Playing make believe is a very important part of childhood. Study the faces of other people and try to guess their feelings. This can be done with ‘emoticons’ too, but looking at people when you are out and about can be fun and enlightening too. Use music to discuss feelings. How do different pieces of music affect feelings? Use art to express feelings: blank pieces of paper with paint or crayons stimulates imagination and the release of emotions. Don’t overdo the colouring-books. This list provides some examples of the many activities that can be used to help whole-brain development. Spend some time on the internet to lengthen the list, and then enjoy the time spent with your child. Your brain will benefit too! Most children love summer for the joys of playing in and around a swimming pool, the sea, river or lake. Parents enjoy the relaxation of being able to let children amuse themselves in the water – although remaining vigilant, of course. And the healthy, outdoor exercise is obviously good for growing bodies. The brain also benefits from the extra oxygen taken in during the exercise, but swimming may also develop skills that are valuable for school learning. The bilateral cross-patterned movements in swimming strokes help with the development of neurons (nerve fibres) that connect the right and left sides of the brain. This makes fast, efficient communication possible between the two. The result is better cognitive functioning which will be seen in better learning ability. A study was conducted in 2012. It involved over 7000 preschool children in Australia, New Zealand and the USA over three years. The results showed that children taught to swim at an early age reached developmental milestones consistently quicker than average. They showed better coordination and increased fine motor skills like cutting, colouring in, drawing shapes and many mathematically related tasks. The research found significant differences in academically related skills between those children who were taught to swim and non-swimmers, regardless of socio-economic background. There were also no gender differences. For further information about the study, you can contact the team at earlyyearsswimming@griffith.edu.au. Remember, though, that these children were taught to swim using strokes that allow us to swim ‘properly.’ They weren’t merely ‘doggy paddling,’ jumping around, splashing in the water or bobbing with water wings or other flotation device. To get the most out of swimming as a brain boosting activity, children should learn the basic strokes and spend time using these to move through the water. And, of course, it keeps them safe around water! Martial arts include several different forms, like karate, judo and tae kwon do, which teach striking and blocking and judo and jiu-jitsu, which focus on wrestling. They are part of ancient cultures in Asia meant (and are still intended) for self-defence. The benefits of all these forms lie in the fact that they use very specific, repetitive movements which rely on a connection between the brain and the body. This has several beneficial spin-offs. The nature of these sports helps to improve coordination, a tendency to impulsivity, the ability to focus and pay attention, self-esteem and other important learning-related skills. Martial arts focus on individual progress and growth rather than on team participation. Traditional sports can demand too much from children with learning challenges and many are not able to meet the demands of a competitive team. They also may lack the coordination for activities such as ballet or gymnastics. Goals in martial arts are concrete and attainable. Some children with learning difficulties may feel discouraged because they never “win” at anything. In martial arts, children work at their own pace and each time they master a new skill level they earn a different coloured belt. This is highly motivating and boosts self-esteem. Routines are broken down into manageable chunks. A certain skill in in martial arts can have many different movements. Each can gradually be mastered by repeating the movements and adding steps as they go. They learn to anticipate which step comes next and eventually put everything together into fluid movements. All of this helps develop their working memory. Self-control and concentration are fundamental to martial arts. Children have to stay focused in order to learn and perform. When a child’s focus drifts, instructors will often ask them to take the “ready stance.” This position allows them to reset and ready themselves for what’s next. The deliberate, repetitive movements of martial arts can help children improve their sense of proprioception. This is a knowledge of where their body is in space – a sensory system that serves as a foundation for learning and coordination and one that is often seen as being underdeveloped in those with learning difficulties. Martial arts provide structure and clear expectations for behaviour. Good martial arts instructors have clear rules and constantly reinforce them. They also emphasize good behaviour in and out of class. The activities provide a safe outlet for excess energy. While aggressive or violent behaviour is not allowed, kicking, karate chopping or grappling are healthy ways of releasing frustration or anger while still practicing self control. Respect is a core value in martial arts. All participants are expected to display respect for their instructor and Negativity is generally not tolerated in class, and children are encouraged to support each other. Those who practice martial arts are regarded with respect by others.Children with learning difficulties often feel inferior and less capable than others but lots of youngsters think that martial arts are ‘cool.’ It’s much easier to feel special when you’re wearing martial arts gear and breaking boards in half. 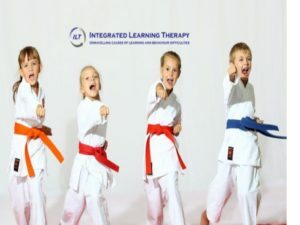 While martial arts are not considered to be a ‘treatment’ for learning difficulties, experience has shown that many children do benefit and their more traditional treatments may be supported and helped by participating in one of these forms of activity. 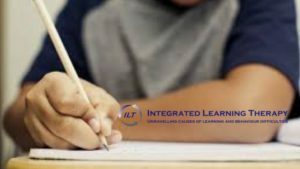 ILT strives to uncover the root causes of children’s learning difficulties – and help them cope at school and home. 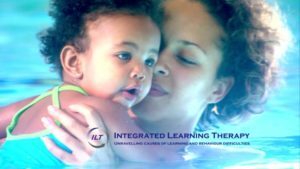 Visit our website www.ilt.co.zato learn more about this approach. We offer accredited courses over correspondence for teachers (CPD points with SACE as well as credits on SAQA for further qualifications), parents and helping professionals to enhance understanding of why children fail to thrive in school Our training also points the way to effective help.